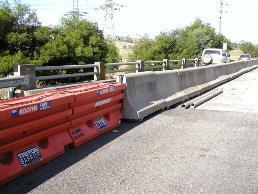 The level of barrier protection is dependant upon the risk and consequences of impact. The risk of impact can be calculated. The consequence of impact should be considered in determining the balance of risk of impact against the risks associated with nil or inappropriate barrier installations. 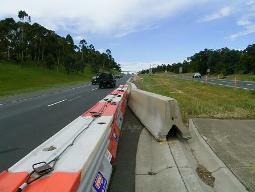 Specific installation criteria are set to maximize the safety effect of crash barriers. For example; a “W” beam guard fence must not have excessive slopes in front of it; particular offsets between kerb and channel and barriers are applicable; water filled barriers have the first unit empty. 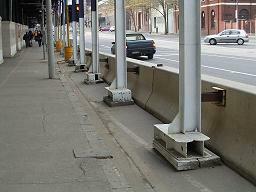 Plastic barrier overlap treatment with concrete barriers. The selection of a suitable barrier terminal is important so that the barrier does not pose a greater hazard than what it is designed to be protecting. The selection of a suitable terminal depends on site conditions. Terminals can be gating, partial gating, and non gating. Each type of terminal has its limitations. Site and traffic conditions need to be considered in selection of suitable traffic terminal treatment. Some transitions from one type of barrier to another are provided as standard drawings by the relevant road authority or manufacturers. However, not all transitions are quite so standard and require an understanding of first principles of the way the barriers perform. Guard rail too short to shield tree. 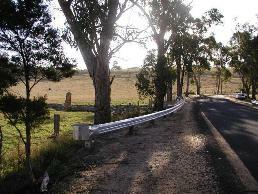 Length of a barrier can determine whether an errant vehicle is successfully intercepted. This needs to be considered along with the barrier impact on traffic safety. 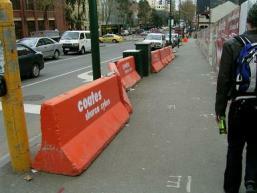 Non-continuous length of non-tested/approved/standard barriers. Are these columns designed to withstand impact loads transferred from the barrier?